FREE Microsoft software for High School and University students and administrators! This unfortunately does not include MS Office and PowerPoint, but I just found out about this program and thought it was incredibly cool and needed as much attention as possible. DreamSpark enables students to download Microsoft developer and design tools at no charge. MS is letting students worldwide download professional-level developer tools and design software. Visit the site for the details here. I’m a Top 10 PowerPoint Designer for 2009!! Okay, so I do not put a lot of emphasis on awards given out through the web, from companies with links to their website embedded. But I did not nominate myself or even do business with these guys, so just being found on the internet, or through a referral is great. Thanks PrintRunner! Don’t have Photoshop and want something a bit more feature rich than Paint? I spent some time experimenting with the online image editing program “Sumo Paint”. 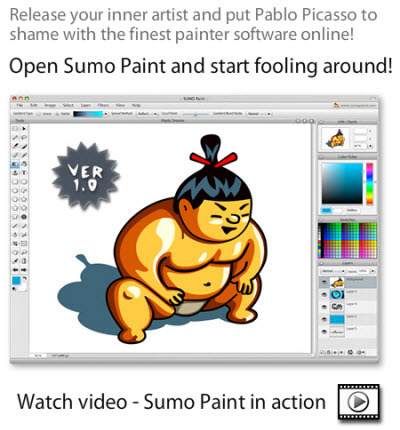 Sumo Paint is flash based, so the only thing needed is the flash plugin. There are a number of youtube videos (some better than others) that demo some of the unique features like the Symetry brush. For an online application it worked virtually identical to an installed application, it is free and does lots of great stuff. Head over to Sumo Paint here. Even if you do not need another paint program/image editor, it is worth a few minutes to play with Sumo Paint and see how feature rich the new generation of online applications are. Here is a quick image I created in 20 seconds using the symmetry tool and then a few filters. I am working on a simple project this past week, #10 envelope return address layout, for a company. I have the logo, important information (address, phone numbers, web address, etc.) and begin developing a series of layouts for the client to review and indicate what design direction they like. After my 4th layout I am beginning to really have to think to come up with alternative layouts, then my best idea comes out – go to Live Search or Google and do an image search for ‘envelop design’ It’s like cheating! Instantly I have 1,000’s of ideas in front of me (actually 3,340,000 in 0.06 seconds). It can happen, just watch the 1:00pm – Customizing ExpressShow with Dan Davis video at TechSmith’s 24-in-24 Camatasia tutorials where someone had to run out and grab an external mouse to use a right-click to access the needed menu. Well now you will never be stuck in that situation with this nifty trick. Just press the SHIFT + F10 and you have right clicked! 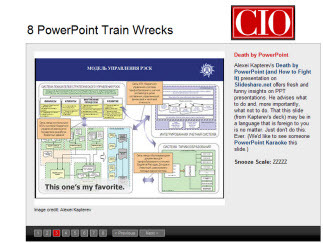 CIO.com has some really bad slides for all to see. Each has a little info about the origin of the slide. Not that I agree with all of the comments (I have seen worse), but it is a good use for 5 minutes of your day. Click here to see them all. Fellow PowerPoint MVP Geetesh Gajaj posted this great group shot of the PowerPoint MVPs and a number of the MS Office and PowerPoint developers. 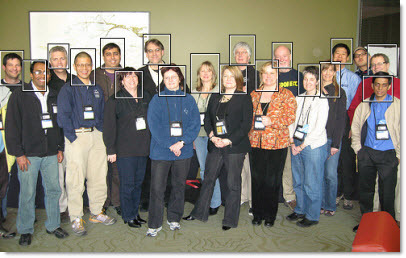 It has a fun interactive rollover feature that tells you who each person is. It is on flickr here. I am over on the far left. 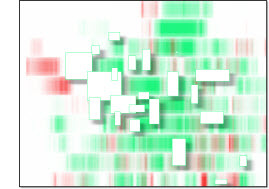 How is this PowerPoint art? When it is created in PowerPoint with hundreds of autoshapes! 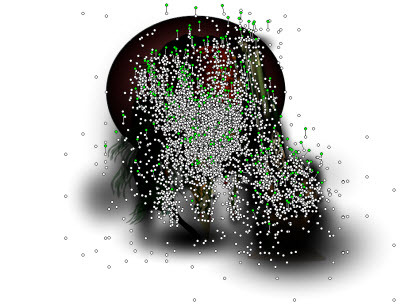 Just the mustache is made up of what looks to be over 200 autoshapes (I stopped counting after 75)! This incredible work by the UK’s Colin Neal can be downloaded from the PowerPointHeaven site. 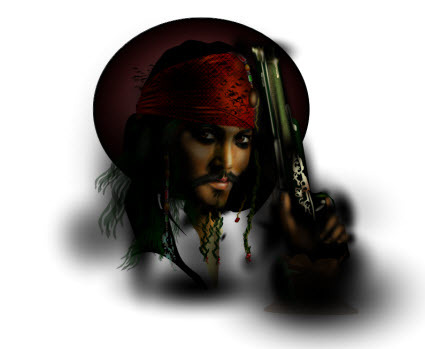 Look for the entry called “Captain Jack Sparrow.” Click here. The video is a bit of a commercial for the host, but I do like what Kelly Thompson, iStockphoto’s Vice President of Marketing has to say about images vs. bullets in presentations. Who is Watson and Why is He Important to Microsoft? 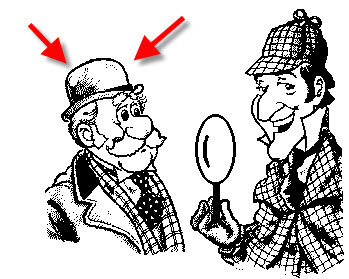 In this case Dr. Watson is a debugger for Microsoft, not Sherlock Holmes assistant. 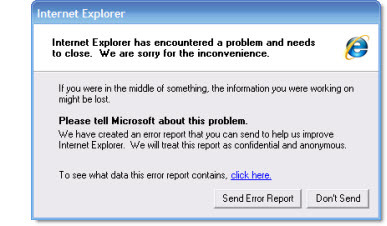 If Dr. Watson is running and a Windows application crashes, such as PowerPoint, it creates a report with technical information that Microsoft developers use to determine what caused the crash. The key is sending the data, which I have been promised is anonymous, to Microsoft. After spending a few days with the PowerPoint developers at Microsoft last week, like it or not, Watson reports play a HUGE factor in what gets fixed, or updated. So submit those Watson reports whenever possible – they make a difference.